How’s your week going so far? I apologize for being so MIA lately, between summer classes and work, life has been pretty crazy lately! 🙈 I have SO much content lined up for you babes but I can barely keep up, ahhh! I promise I’ll be better! Summer is in full swing and I’ve been looking for more lightweight pieces to wear during the summer months. Light, airy, and breathable pieces are KEY for SoCal summer weather. 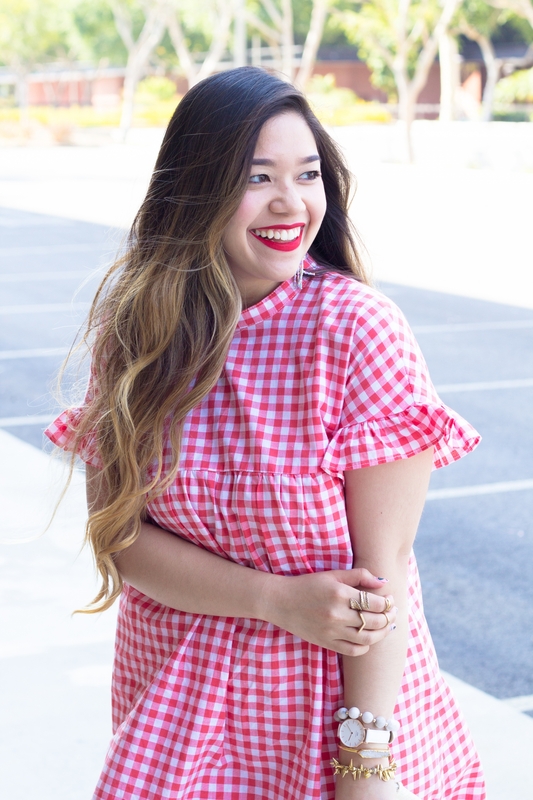 So when I laid eyes on this cute little red gingham ruffle sleeve dress number, I immediately snagged it! 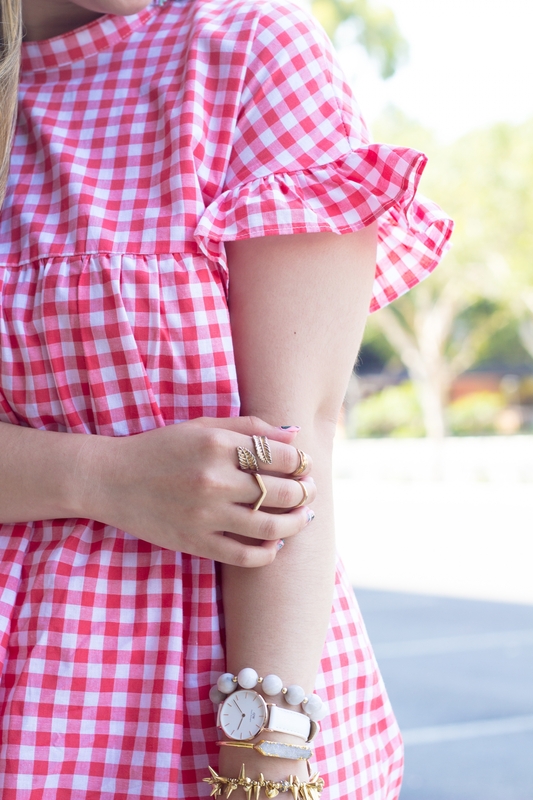 Vic said that this red gingham ruffle sleeve dress literally looks like I’m wearing a picnic blanket, ha! 🙈 He can comment on my outfit choices all he wants, but that ain’t gonna stop me from trotting around in this cute little red gingham ruffle sleeve dress! 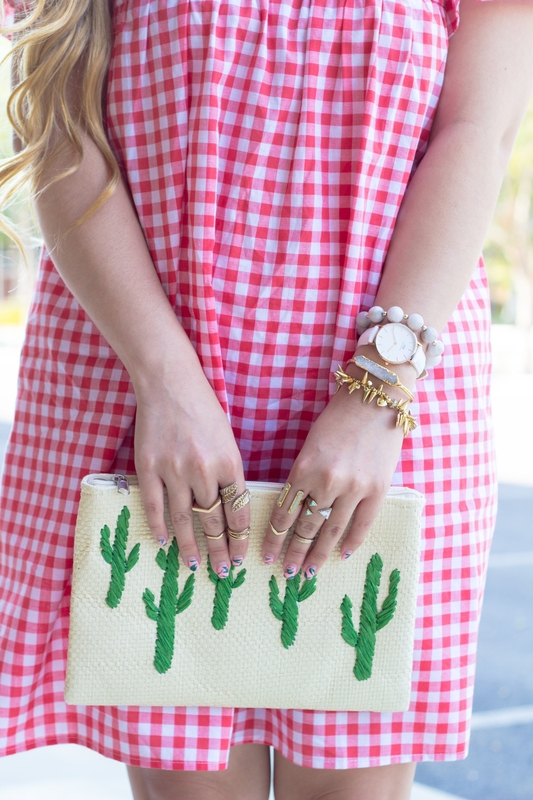 I love love love the ruffle sleeve details on this red gingham dress! The ruffles are such a cute touch and makes this dress so fun for the summer! There is also a cute tie back detail which isn’t pictured here. For reference, I’m wearing a small; although, I probably should have gone with an extra small as this dress does run big. I was considering belting the red gingham ruffle sleeve dress but decided I love how it looked as it is. For all you pregger mamas out there, this red gingham ruffle sleeve dress is the PERFECT dress for your baby bump!!! 🤰🏻 Just imagine how cute you and your bump would look in this dress!!! As for the color of this dress, it’s more like a vibrant orange-red color. Definitely not a blue tone red but rather like a bright coral red. Seriously, this color is even more gorgeous in person! It also comes in dark blue and pink! 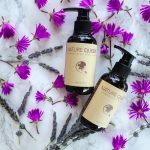 You can get it here! This dress and that clutch are the cutest! 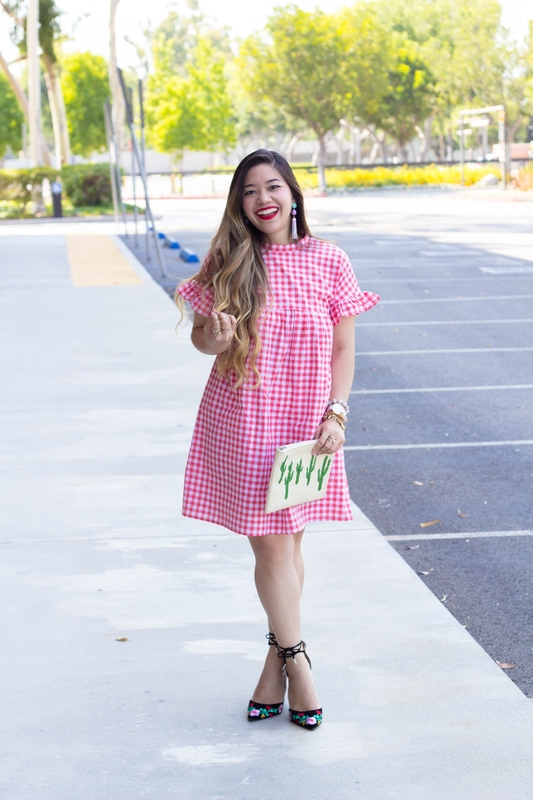 This ruffle sleeve gingham dress is adorable! Ohh love the colour and those shoes are gorgeous! such a cute dress and i love your clutch! This is so adorable! 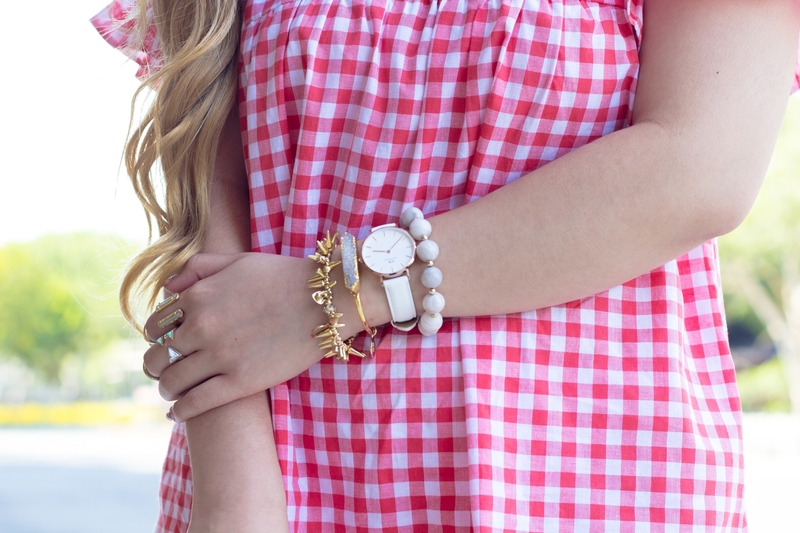 Love you gingham look!